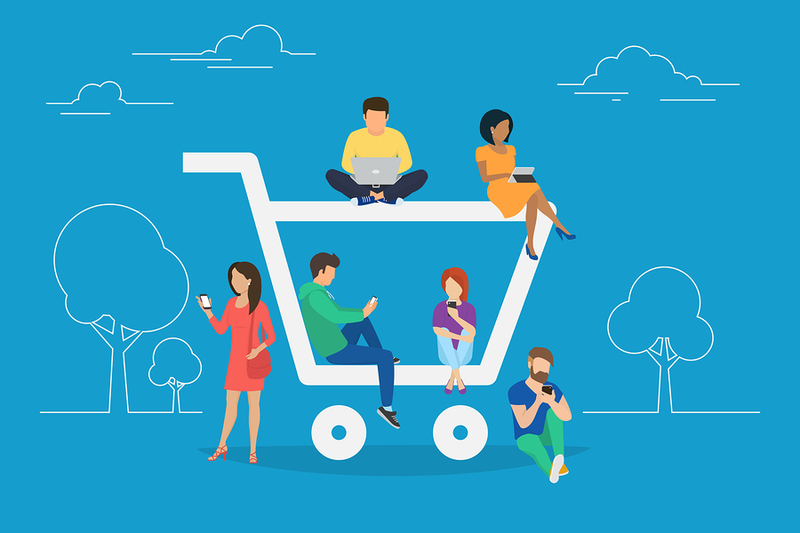 Social media has emerged as one of the most important channels of communication for brands and retailers – in no small measure due to high levels of consumer participation on these platforms and in these communities. Fueling consumer traction is an opportunity for two-way communication; a dialogue rather than monologue. It is a more human and interactive environment – and thus adds value to the consumer’s life and experience by providing unique ways to engage. Of note, social media participation accounts for at least one of every three minutes people spend on the Internet, according to Global Web Index. We already know that consumers prefer to get information, guidance and ideas from voices they deem trustworthy. Social channels help fill this need as a trusted source, especially when the proportion of content generated by consumers themselves (trusted) is correctly balanced with posts created by brands (not as trusted). The question we often get from clients starts with how to extract optimal effectiveness from social channel program investments. Rule number one: social is not a conventional media platform for pushing out self-promotional sales messaging. The great divide between social channels contributing measurably to growth vs. not, begins with the relevance of content and value to the consumer’s lifestyle passions and interests. Social discourse is not advertising. While this may seem intuitively obvious, we observe any number of brands using social as a traditional media play, dominated by product promotion and transactional messages. The first step towards social media engagement success begins with mining insight into the lives and aspirations of the audiences brands wish to serve. Ideally consumer insight research is part of the overall marketing plan and can be deployed to gain a better understanding of what a brand’s core users care about. Better to truly know them rather than base the messaging map on hunches and assumptions. From this baseline insight, we build personas – detailed descriptions of consumer segments that make up the population of users either existing or desired. The personas then inform content strategy and help design a community experience founded on relevance, and added meaning to consumer interests and lifestyle. This approach helps guide community managers to optimize the entire social encounter around core consumers, and in doing so, feeds engagement levels and social’s holy grail – content sharing. When content delivers intrinsic value to the audience, often in an entertaining way, it gets shared and thus multiplies reach. According to user generated content platform company Stackla, 86 percent of consumers say authenticity matters in deciding what brands they like and prefer. Additionally, 60 percent of consumers believe content from a friend or family member will influence their purchase decisions. Comparatively only 23 percent say they are influenced by content from a celebrity. User generated content (UGC) is another key component – again founded on the fundamental construct of trusted source. UGC should be embedded as an important component of social strategy, bringing in the voices of real people and their stories as a powerful foundation of validation and proof. Consumers believe each other’s experiences with a brand first and foremost; more so than self-promotional content from a brand asserting the benefits and performance of its products and services. Within this content eco-system is a formula we follow to plan content on a calendar basis. We recommend that roughly 80 percent of the content track message, topic and tone that are inspirational, educational, useful or fun. The remaining 20 percent of the calendar can be devoted to brand promotions and offers. Of note, we know that quality content is far more important than quantity in social channels. It simply takes more thought, time and effort to create material that truly benefits other people and adds value to them than inconsequential frequency-fillers. Even when aggregating user generated material it’s important to curate the posts that are interesting and informative from anything that’s not offering a coaching or relevant entertaining moment. HubSpot reports that visual content is 40 times more likely to be shared on social media than other forms. This data tracks with evidence that Blog posts using photos garner much higher readership than those without. This helps explain the out-sized popularity of Instagram – especially for food and healthy lifestyle brands. Show readers the lifestyle they aspire to live. If its outdoor adventure they crave, then you know where to go. If they’re kitchen commanders, help build their culinary adventure. Reveal the emotion under your product story. The devotion of craftsman to craftsmanship is an emotional journey people want to take. Talk about your commitments, standards and beliefs. Inject some art into product photography. Make your photos more interesting by thinking creatively about the setting and how to imbue the image with greater meaning or emotion. At the start of this post we described the anchor from which all audience blessings flow: trust. Trusted voices are the key component to securing belief among consumers. Today’s consumers are understandably skeptical, and their ‘trust threshold’ is that much higher. Brands are no longer free to simply assert claims of superiority or better experience. Other respected sources need to corroborate what you hope to convey. Influencers are a part of this strategy. Bloggers and third-party subject matter experts add another dimension to content plans, bringing borrowed equity and credibility to the table. So it makes sense to build and nurture a universe of relevant influencers in your category. These voices can help verify what you want people to believe, while expanding the reach of your message through their networks. The 50 or so Bloggers who are currently part of our Emergent Media Network operate in this role as added credible voices and authorities. Our obligation in this symbiotic relationship is to bring useful, relevant, well-researched and credible story ideas to the table. Quality in equals quality out. Social strategy is, by definition, an integration of content marketing, community building, nurturing and the aggregation of user-generated stories. When built around insight about the audience and their needs, with content they care about, an opportunity exists to earn permission for a deeper relationship – based on mutual respect and trust. Marketing food and beverage brands these days can feel a bit like playing darts with the lights off – trying to hit the mark of engagement when unsure of the path to this goal. A recent global consumer study sponsored by Stackla and conducted by Market Cube, helps illuminate the pathway to delivering the kind of content that resonates with consumers. 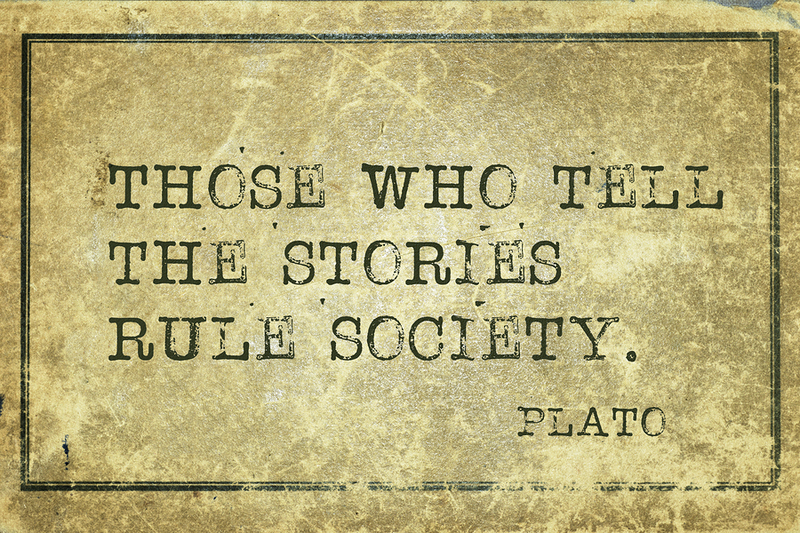 Turns out it is stories created by their contemporaries, friends and family that matters most. The old era of interruption-style, one-way marketing has been dethroned. We now live in a content-driven world. In an effort to reach increasingly elusive consumers, brands have become self-publishers and active participants in their own social channel communities. People tend to tune out and avoid anything that looks or sounds like conventional marketing, so it is vital that new thinking be applied when designing brand building content strategies. That said consumers have also become more savvy and sophisticated in assessing the credibility of content based, in part, on the source of that information. What kind of content is most influential to purchase decisions? Eighty-six percent of consumers believe that authenticity is important when deciding about brands they will purchase, according to the study. Yet 57 percent of consumers think that less than half of the brand-produced content out there is truly authentic. What does authentic mean to consumers? People choose to believe other people like themselves first because there’s a perceived higher threshold of honesty and integrity than company-built material. Which, in the eyes of the beholder, may be seen as serving only a transactional agenda. What kind of content is most authentic? Created by consumers: 60 percent. Created by brands: 20 percent. 52 percent of people say they post on social media at least once a month about products they’ve purchased. 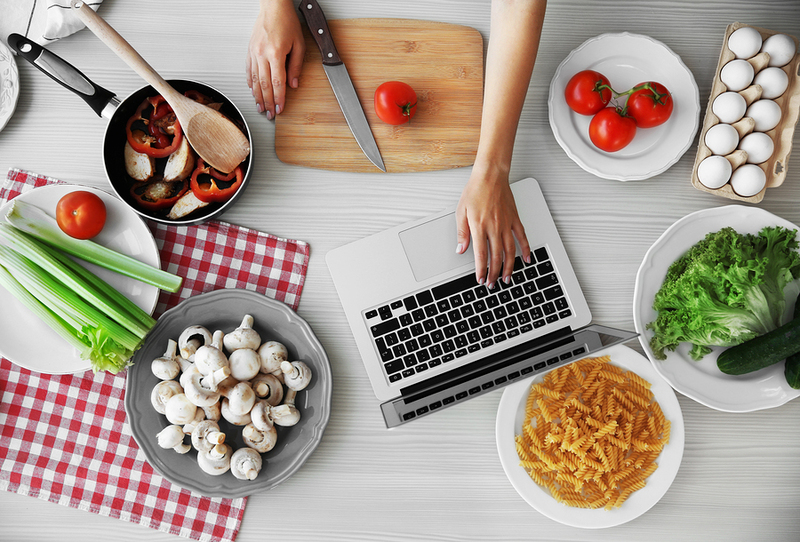 39 percent of consumers say they post about food and beverages at least two times a month. 76 percent of people will post on social media (mostly Facebook) after a positive experience purchasing a food or beverage product, or dining out. 70 percent of the time consumers can identify an image created by a brand rather than a consumer. 20 percent of consumers have un-followed a brand on social media because they thought the content was too corporate and self-serving. User generated content is a highly intrusive, credible and effective form of engagement because it respects the consumer desire for honesty and integrity above all. The litmus test for success here comes back to a fundamental understanding of what people believe. Building trust is paramount in brand communication. The voices of users and family members work more effectively here because it flows from a desire to be helpful; it’s not self-serving. For brand-created content, the aforementioned tone and spirit should be factored into messaging to help assure it conveys a human, real and believable approach that doesn’t come across as a hard sell. The testimonial voices of happy consumers can be one of the most powerful and persuasive of tools at your brand’s disposal. So help them tell their story. Encourage this behavior in your social channels. Feature the voices of your fans and ambassadors. It’s the equivalent of a laser-guided dart hitting the bulls-eye of engagement. Marketers are living in the age of consumer control – of the conversation, of granting access, of the genesis of any relationship that may exist between a brand and its users. For this reason, relevance has become a watchword to define what separates real engagement with people from that of disinterest and disconnection. Relevance always begins with a deep understanding of the consumer’s lifestyle interests and passions, their concerns, needs and desires. It is here, in alignment with what people care about, that brands can find mutually beneficial ground to create conversation. We’ve described this as engaging via help over hype. To activate relevance, brand stewards must think differently about the relationship dynamics with consumers. It’s hard to move away from the usual transactional behavior and messaging – unless – you really embrace caring about the people you wish to win as customers. You must commit to deep understanding of how the brand sits in service of improving people’s lives –and not just in terms of delivering on product benefits. Tactically, nowhere is this seen in greater relief than through building communities of brand participants and ambassadors. Social platforms enable interested groups and fan communities to join together. These communities are powerful forces. There’s simply no better way to win new customers than to have current true believers share with others what they love about the brand – it’s the ultimate testimonial. However in doing so, there are some rules which must be respected: this is not a channel to push out self-serving sales messages. Instead, it is the land of relevance and creating connection – to people’s lives, to each other, to community and sharing. What’s at stake? There are two types of brands: those that matter and in which the consumer becomes invested, and those that don’t where products are viewed as commodities bought on price – easily interchanged with other options on any given day. The former is a way of becoming embedded in the hearts and minds of consumers through community and engagement, while the latter bypasses this approach in favor of talking “at” people. Forming relationships is first and foremost a storytelling mission. Either those shared by brands or those created by consumers. Have you ever noticed the stark contrast between brand communication that feels like informing, educating and honest conversation, as opposed to a message that looks like marketing and is designed to persuade? The tellable tale by definition is useful, valuable communication the consumer wants to share. All too often brand social channels are preoccupied with using the medium as another platform to push selling messages out the door. Which is vastly different than respecting the sharing and conversational aspects of the environment. Feature real-people stories – activate the compelling real people customer tales of change, improvement, transformation and delight earned by brands who work to enhance the lives of their users. Demonstrate beliefs and mission – people want to be part of something greater than themselves. It is imperative that brands fully embrace a relevant ‘higher purpose’ that guides brand/company behaviors and decisions. A real, human, useful purpose beyond fueling product transactions. Transparency rules the relationship – people want to know about the commitments and standards you follow that govern how you do business. Integrity and honesty are critical to establishing connections with consumers. Go behind the curtain – companies, intentionally or not, are often like black boxes that operate behind a closed door. Now, however, people want to know how products are created, where ingredients are sourced, how employees and suppliers are treated. Open the door and let them in. Humanize your brand – bring to life the people who create, innovate, build and personify the company’s beliefs and mission. Tell their stories. Let them explain in their own words why the company is operating in the consumer’s best interests and how the business works to improve people’s lives. Entertain along the way – as the great David Ogilvy once said, “you cannot bore the customer into buying your product.” Entertaining communication allows elements of fun, humor and excitement to filter into the construction of content. Make it interesting, engaging and emotional, as well as informative. Finally, encourage your fan community to co-create and build content of their own. Nothing is more powerful or compelling than this form of outreach. Be an enabler of social sharing. Encourage customers to contribute. Make it easy to do that. Repurpose what they make and distribute widely. The 80/20 rule is usually in effect across most product categories, meaning that a smaller population of heavy users are most likely also to be the fans who help tell your story and carry the message. Take care of them!